On a scale of 1 to 10 with 10 being certainty with 1 being no confidence at all, where would you rate your level on each of those (relevant) points? What Would Happen in Your Business If Every Decision You Made was with Certainty? Yes, because your employees wouldn’t let you down, nor would you need to put any off. They would be reliable, punctual and productive even when unsupervised. 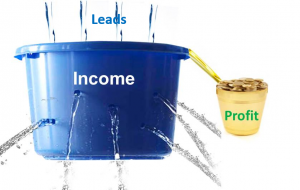 Would you have plenty of leads and your business would grow? It sure would, because certainty with lead generation definitely produces more sales. So the question is, would it be possible to have certainty with all of the points above and more with your business decisions. That’s an important question worth exploring. When a person isn’t certain about their decisions its because they are lacking information. With a lack of information there is doubt and/or fear. Fear is simply the absence of knowledge or ignorance. Some business owners do have certainty with most of their business decisions, but they’re probably a very small minority. It can be because of years or decades of experience, and that’s hard to get anywhere else without putting in the years. A business mentor who has been in business for decades can definitely help to give you certainty in all areas of your business, that’s one way and probably the best. 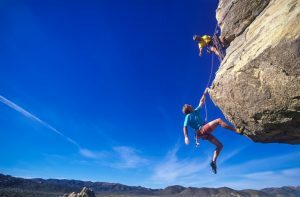 However there’s another way worth exploring if you don’t want to consider a business mentor. There’s something that automatically leads to certainty and it’s trust. When we trust someone or something it gives us certainty. The most trustworthy aspect of business is numbers. In business, the more numbers you can consider with your decisions, the more certainty you will have with your decisions. Any business mentor you talk to should definitely be discussing a LOT of numbers with you, before and after they work with you. Any super successful business owner understands numbers for their business. 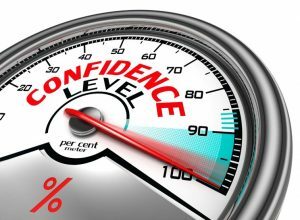 Numbers increase confidence with decisions. But what numbers should you use for certain decisions? What Numbers Give Certainty with Decisions? There are some figures that are so revealing of the whole operation of a business and it’s true progress and level of success over a whole year. These numbers are good place to start. Unfortunately there’s no “Standard” for how a Chart of Accounts is setup, so there are big variances with Profit & Loss Statements. Its very important to include technical/hands-on/tradespeople employees who carry out the service work as a Cost of Sale in every service and manufacturing company. That’s because they are essential as a cost of doing the sales work, but also because it creates a Financial Ratio of labour to revenue for the year. Why this Financial Ratio is super important is to see if the figure goes up or down compared to the previous year. 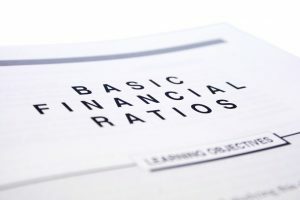 A financial ratio is the relationship between two figures, so its more revealing than just one. These figures show the revenue and net profit both increased for the financial year. There are a few Financial Ratios that tell a very interesting story with these figures though. In the first year the Net Profit Margin was 12% ($115,000 / $957,000 x 100). Year 2 the Net Profit Margin is 10% ($135,000 / $1,350,000 x 100) – so the Net Profit Margin or percentage of Net Profit has decreased. When the Net Profit decreases, so does the cash in the bank. Another financial ratio is employees wages cost to revenue. Year 1 it is 33.4% ($320,000 / $957,000 x 100). Year 2 it is 36% ($486,000 / $1,350,000 x 100) – so the employees were not as productive for the financial year. This ratio would require further investigation as there are a bunch of reasons as to why the percentage has increased. This increase may have a lot to do with why the Net Profit Margin has decreased by 2%. Ratios reveal far more than the figures on their own. Another simple, but super important ratio in any service or manufacturing company is the conversion rate of leads to sales. If your business offers a quote or price to 20 potential customers in a week, and then 7 of them become paying customers (anytime, not just in that same week), then the conversion rate is 7 / 20 or 35%. Knowing this figure is the first step to increasing it, and yes it is very easy to increase! Just by measuring it you’ll almost certainly increase it in weeks because you pay attention to the activity that determines it. Another ratio for advertising is the “Acquisition Cost” or the average cost to acquire a client. Cost per Acquisition $100 ($1,000 / 10). This is a ratio of income to costs for advertising. Another very important ratio is the Gross Margin average for your technical employees. Let’s say you’re paying your technical employee $1,000/week. A fantastic thing to measure every week is the work they have “produced” which is the $ value of work they have carried out in the week on any jobs. Think of it as the $ value of work they have carried out during the week. It can be hard to calculate for nearly all job management software systems, so you may struggle to see this figure. That’s because to work it out you need know the dollar value of work produced for every hour an employee works on every job in part or in full during the week. If you know how many hours have been quoted on for any job, you can then work out the dollar figure per hour on the whole job. That means you can determine how many hours and therefore the dollar value of work, per employee. It may all sound hard or difficult to calculate, but the results are well worth it! Knowing the cost of labour for the week, from the dollar value of work then provides a gross margin. When you know the gross margin for each employee, and work it out for all employees it can be very interesting. It helps to understand where the profit goes in a business. Are you keeping up with all this talk about figures and ratios? A lot of this may sound theoretical and therefore of no great benefit. The complete opposite is actually true. The ratios in a business, when understood, increase your confidence to the point of certainty in so many areas. When you are certain about your figures it makes a huge difference. If you knew for certain exactly what gross and net profit margin you were making on every quote, before you won the job, it would give you more certainty with what discount (if any) you can give a potential client to win the sale. When you know for certain what your ROI or gross margin is for any employee, you know for certain whether you can give them a pay rise and what gross margin you will make on them afterwards when you increase their salary by X number of thousands per year. When you are certain about employee gross margins with figures every month, you know for certain whether you need to give them a warning for poor work productivity and can show them their figures compares to other employees. That makes the ‘warning’ process for productivity a much easier conversation as its not just your opinion, its based on facts. When you know for certain what your business’ allowable or maximum Acquisition Cost is, relative to your Average Sale Value, you know with a lot of certainty if a potential advertising strategy will work and if you use a new one, whether its producing a profit ROI. When you know these things for certain, your decisions are easier and rapid. 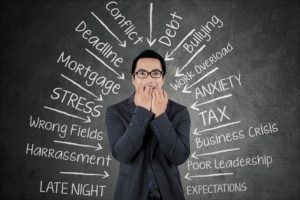 When you aren’t aware of the figures for your business there’s a LOT of stress, doubt, worry, procrastination, fear and delay in decisions so that significantly increases expenses and hurts net profit. So where do you learn all this, to get a better understanding of figures? You can do it yourself, with weeks of research online. Which one sounds the most appealing to you? Education is nowhere near as expensive as ignorance. Years go by and the majority of businesses are operating with a less than 10% net profit margin when over $700,000 revenue. With a good business mentor and training, that figure to rise to 15% to 25% and on that revenue the increase of 10% is $70,000 in net profit. Even if a good business mentor or training cost $20,000, you’re still potentially making 3.5 times your money back, if your revenue is only $700,000. These are not indicative figures, its just a way of looking at the investment a good mentor can return. Even if you paid a mentor $20,000 in the year and saw a net profit increase of just $20,000, that’s still a good ROI isn’t it, considering the next year you can keep 100% of that net profit increase. Where else can you get 100% or 1,000% ROI on your money spent? 1,000% ROI is actually very achievable with a very experienced business mentor or training, in less than one year. Are you willing to talk to one? Hi Tim – you’re one of the few people whose emails I always read because I believe you truly know what you’re talking about. If ever my business is large enough and I’m looking for a mentor, you will be it. Thank you for giving so much so freely – blessings!